Last month, we wrapped up the Community Design process with Community Design Meeting #3. 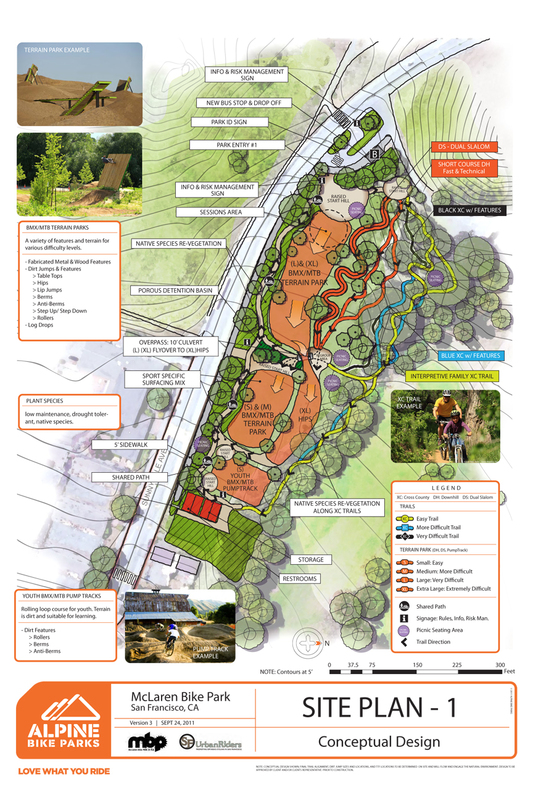 We hosted the meeting with SFRPD and our bike park designer, Alpine Bike Parks. The community has been overwhelmingly supportive of the project and of the concept design. This is still a work in progress, but much time has been put into community outreach and gathering and implementing community input. Here’s the current concept plan as it stands… Next step? Fundraising. ← Community Design Mtg #3 – Sept 24th!! !